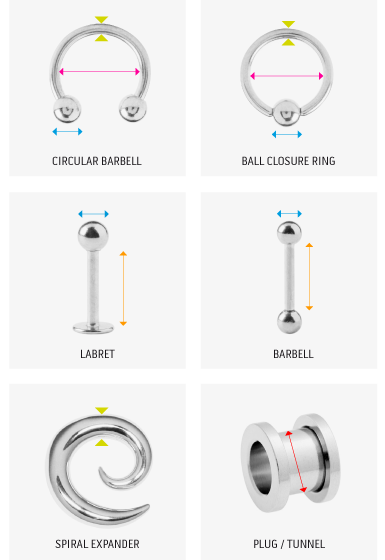 Stainless steel circular barbell piercing. 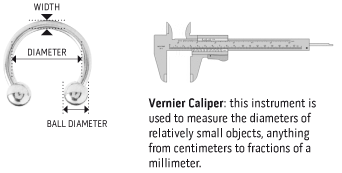 Comes in assorted sizes: 1.2 & 1.6 x 6, 8, 10, 12 mm. This product can be used for most parts of the body. 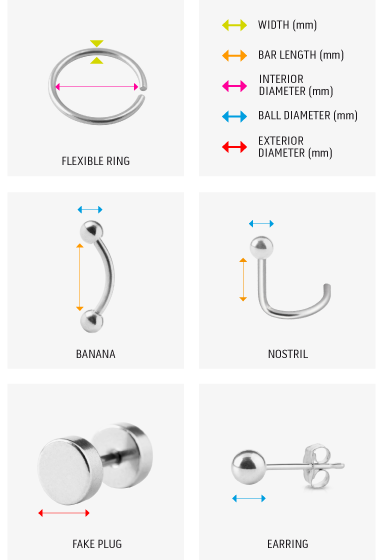 This model is probably one of the most popular piercing. 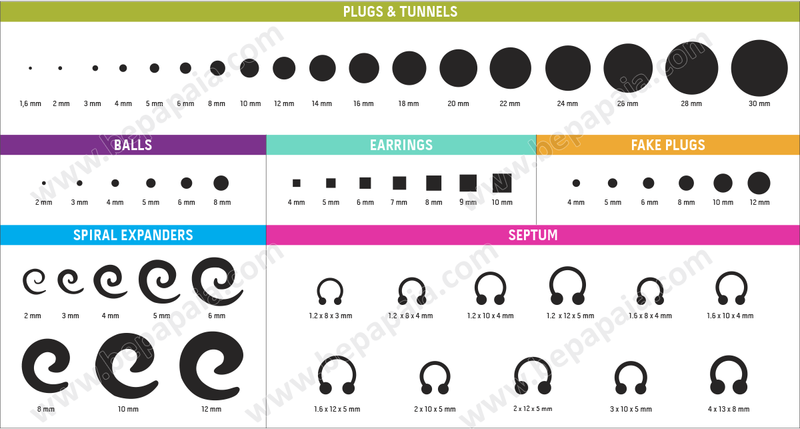 Recommended for every shop who sells piercing, or wants to start selling piercing. 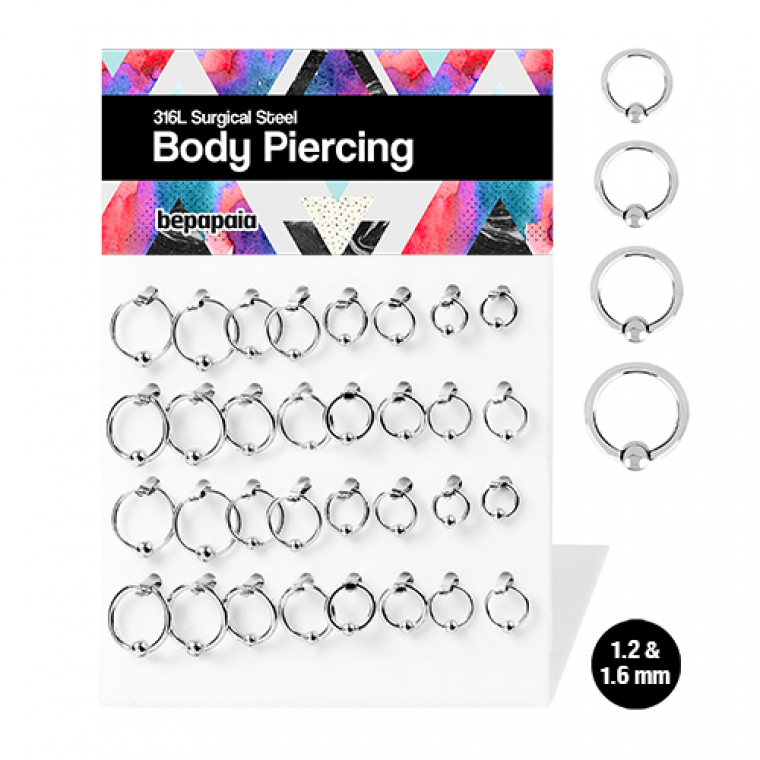 Be Basic, Wholesale piercing, Wholesale Jewellery and in Bestsellers.